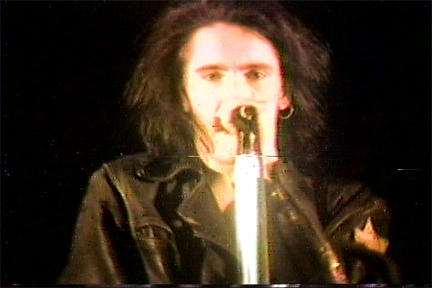 Nine Inch Nails opened for Skinny Puppy about a dozen times. There is a lot of uncertainty as to which 10? shows they played at. 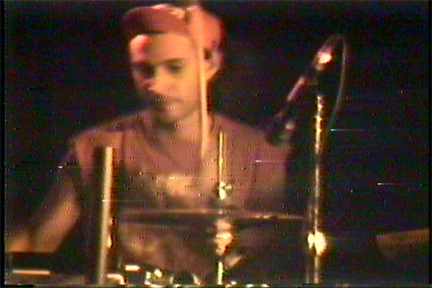 1988-10-26 Columbus, OH The Newport?? 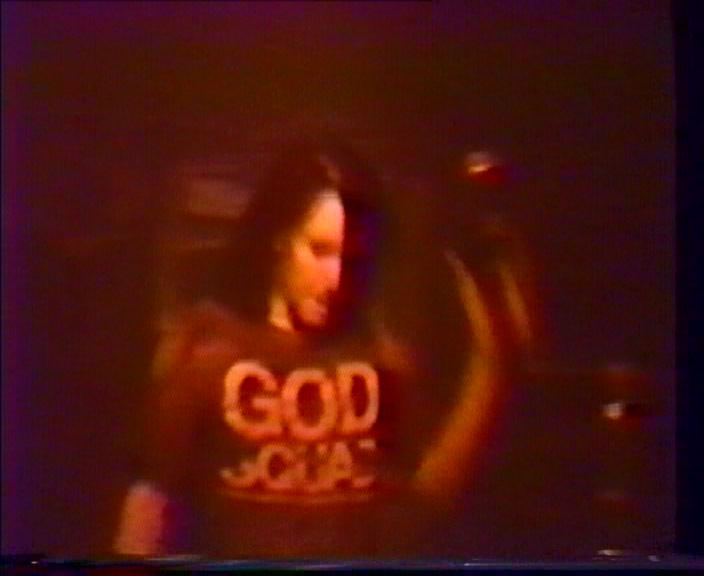 1988-10-31 New York City, NY Irving Plaza - audio, "Show Up or Throw Up"
1998-November Pretty Hate Machine demo - "Purest Feeling"
1988-November 5 additional demos - "Demos and Remixes"
Footage of these two songs appear on the Closure DVD (halo twelve). There were only 2 silver pressed bootlegs that featured unreleased studio material, all others were just repackages. Head (Version) Flood Mix - on Head Lika a Hole single (halo 3) as "You Know Who You Are"
Head Like A Hole (Go-Go Mix) - on Head Lika a Hole IMPORT single (halo 3) as "Head Like a Hole (opal)"
This is a decent cassette sourced audience recording. There are 2 circulating copies of this show. 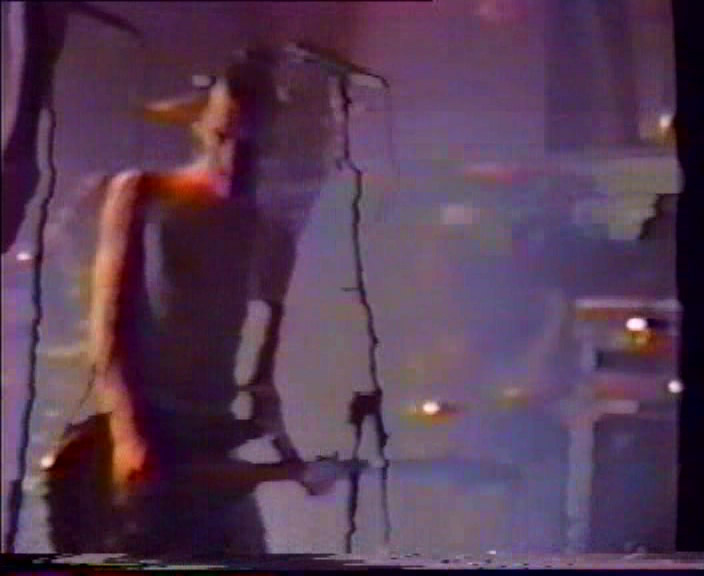 There is a high generation VHS rip in MPEG (me, gladcarrot) and a low generation VHS rip on DVD (thanks eatyourblud). The high gen copy includes the intro song, but the DVD version doesn't. 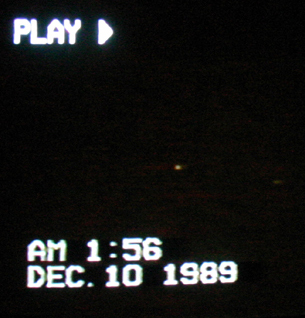 There are a lot of tape problems at the beginning of the recording, but the date can be seen in this picture I took of my tv set playing the VHS tape. I long ago lost the MPEG file I made but it was on Demonoid for a while. 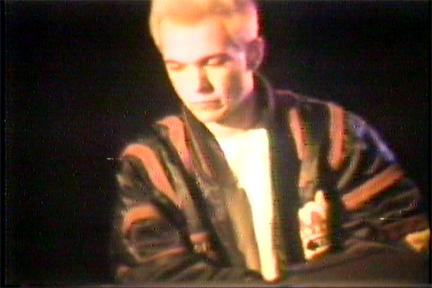 This footage came packaged together in the same tape and subsequent DVD with video of the Miami July 4, 1990 show. 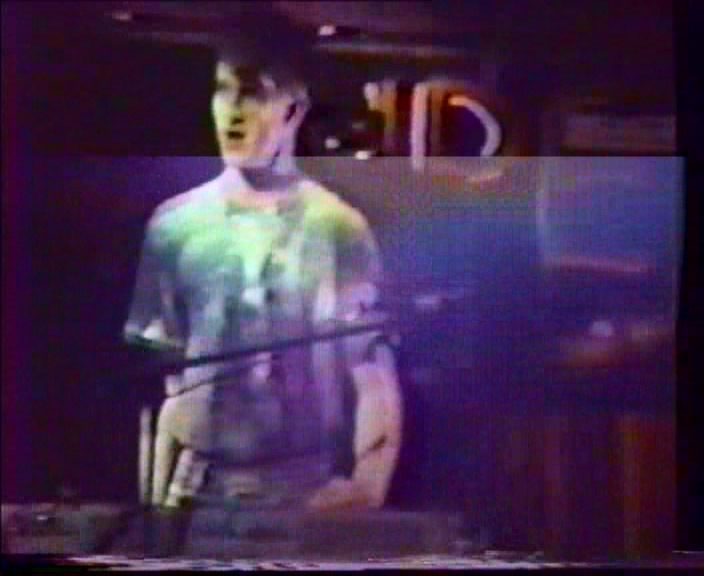 photo of TV screen, VHS DVD screen caps Richard Patrick - Guitar Trent Reznor - Vocals, Guitar Who is this guy on Keyboards? No good closeups of drummer Chris Vrenna. 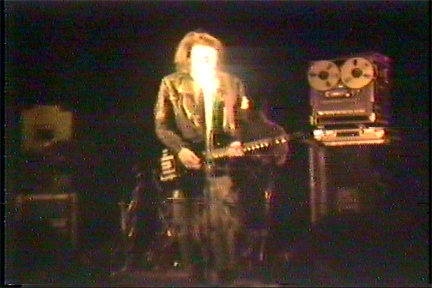 A few seconds of this "performance" can be found on the Closure DVD (halo 12). Surprisingly, the entire show has not surfaced yet. See most wanted recordings. 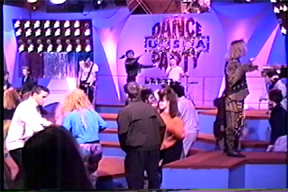 There is a hidden 11th track on the Head Like a Hole single (halo 3) of Kelly Ripa, then dancer on Dance Party USA, shouting "Let's Hear it for Nine Inch Nails! Woo! They're good!"